Scheduled for Monday, April 8! On Monday, April 8 the Portland City Council will hold a public hearing on the mandatory paid sick leave ordinance which was recently voted on, and approved by the Health and Human Services Committee. This ordinance will impact every business in Portland – even if you already offer generous PTO benefits.The language does not exempt anyone, but rather requires everyone to be in compliance. The ordinance reads that “An employer may substitute its own paid sick leave policy that meets or exceeds the requirements of this ordinance.” Therefore every business must offer the same amount of paid sick leave, at the same accrual rate, and allow use of paid sick time for the same reasons as the proposed Portland Paid Sick Leave ordinance, among other requirements. 1. Please attend the public hearing and share your concerns with this ordinance. We know the proponents will be there in mass and it’s critical that they see an equal number of employers there as well. If you can attend, please let us know by sending us an email. This is the last public hearing on this issue before it goes for final vote, most likely that same night. 2. Email all Portland City Councilors. Even if you are able to also attend the public hearing, we need to make sure the councilors hear from all of us. Please send an email with your thoughts and concerns to all councilors below. Focus your comments on the impact this will have to your employees. If you have locations both in and out of Portland, talk about how you may have two sets of requirements (one state law and one city ordinance) to comply with. Click here to email all Portland City Councilors. The details of this proposal differ significantly from the proposed Portland ordinance. If a mandatory paid sick leave ordinance is going to be implemented, it should be done on the statewide level. Currently, there is a chance that both the Portland ordinance and the statewide law will pass – meaning those in Portland follow the Portland ordinance, and the rest of the state complies with the statewide law. Having to comply with different requirements on the city and state level would be extremely problematic for no greater benefit to the employees. Companies want to offer uniform benefits to all employees regardless of where they work. Legislative Session in Augusta is in full swing and there is a good deal of legislation that impacts the business community under consideration. Here is a list of some of the issues to follow. There are four bills dealing with a local-option sales tax that were scheduled for a public hearing on Wednesday, March 27 at the Taxation Committee in the State House in Augusta. These bills would create the ability for a community and/or county to institute a local consumption tax over and above the 5.5 percent sales tax, 8 percent meals tax and/or the 9 percent lodging tax currently charged by the State. Much more to come on this issue as the committee deliberates and works on these bills. On Monday, there were 7 bills up for a public hearing that would affect the state’s minimum wage in a variety of ways. One bill would establish an urban minimum wage and a rural minimum wage; others would freeze or roll back the current minimum wage. One proposed bill would establish a youth training wage below the current wage level. Another proposal would increase the minimum wage for employers with more than 50 employees to $15 an hour. These bills have yet to be scheduled for a work session in the Labor and Housing Committee. The Legislature is considering several bills that would address the current referendum process. Two such bills, LD 499 and LD 1209, would make drastic changes. LD 499 would prohibit payment per signature on petitions for direct initiative and people’s veto referendums. LD 1209 would require a petition for the direct initiative of legislation, once it’s been certified by the Secretary of State, to receive a public hearing before a committee of the Legislature. The Labor and Housing Committee is currently deliberating on LD 402 which would increase the overtime threshold from $33,000 to $55,224 by 2022 and then index the threshold each year thereafter. Referred to as the “overtime" threshold, or alternatively the “salaried” threshold, it is the monetary dividing line between employees who are considered salaried/exempt for the purposes of overtime pay, and those who are hourly workers and therefore eligible for overtime pay after working 40 hours in a week. The Committee tabled the bill and no future work session has yet to be scheduled. 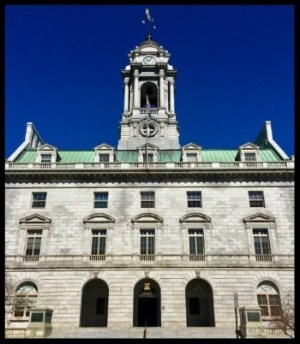 While the City of Portland has been considering a paid sick leave ordinance of its own, the Labor and Housing Committee in Augusta voted on a statewide paid sick leave mandate which would require businesses with five or more employees to offer paid sick leave to workers who are employed for at least 13 weeks. Seven committee members on the Labor and Housing Committee supported a version of the bill, while four Republican committee members backed a substantially altered version which would: focus on preventing abuse of the policy, require workers to be on the job longer before qualifying for paid sick leave, and exclude minors from paid sick leave. One committee member opposed the bill outright. This bill still needs to head to the full House and Senate for consideration, where either version of the bill could be discussed, debated or changed further. There are currently no fewer than 25 bill titles dealing with workers compensation that have been submitted for consideration over the coming months. Many of these bills, if passed, would undo key provisions of the groundbreaking Workers’ Compensation Act of 1992, which reinvigorated Maine’s workers comp insurance market and helped usher in a renewed culture and commitment to workplace safety by Maine employers. We will be following this topic closely over the next few months. This bill requires employers who employ five or more employees in the state to provide hourly employees at least two weeks prior notice of the employees' work schedules, and additional compensation owed for schedule changes under certain circumstances. The bill also requires these employers to keep certain business records for at least three years. A fine of $50 per day would be levied against any noncompliance. The Speaker of the House has submitted a bill that would allow eligible employees to take paid family and/or medical leave. A covered individual could take up to 12 weeks of family leave (i.e. after birth or adoption of a child, caring for a family member with a serious health condition, a family member on active duty, etc.) or 20 weeks for medical leave (if the covered individual has a serious health issue). The paid leave would be funded by a .5 percent tax on employees' earnings which would go into a statewide insurance pool and provide coverage for full-time, part-time, and self-employed workers. This bill was just released earlier this week and no public hearing has yet been scheduled. The Portland Regional Chamber of Commerce and the City of Portland’s’ Office of Economic Opportunity are proud to announce Portland Professional Connections. This program is designed to connect new immigrants with established business people and community leaders to help expand their professional network and connect with local career opportunities. The time commitment as a connector (i.e. an established local professional) is a coffee meeting and your ability to make 3 introductions for your connectee to others in your professional circle. Check out the Connector Check List to find out if you are a Connector candidate. A Connectee is a foreign trained New Mainer who is seeking employment in a specific field and looking to build their local professional network. If you want to learn more about this program, OR sign up to be a professional connector, please check out our website.